It has been such a busy month I haven't really had much time to grab my camera and share anything of my life. It has been go go go for most of September. 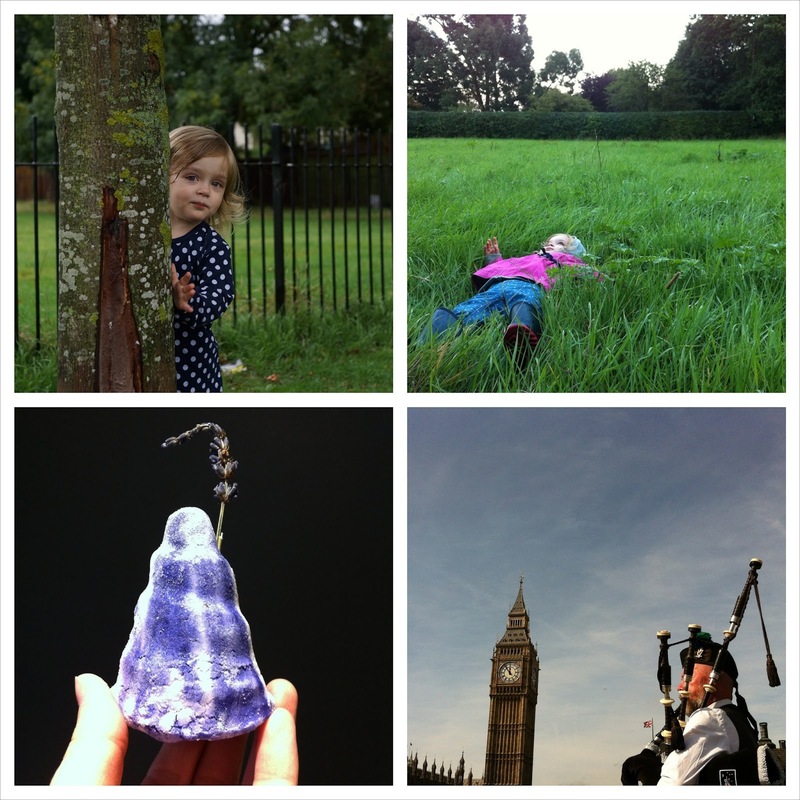 A few little snaps of sunshine and fun did appear in my life though and here are a few captures. 1. I do often despair with London, the long commutes, the high house prices, and the endless hamster wheel. But sometimes, it is just lovely to live here. Incredible town with incredible opportunities. 2. The beginning of September brought home the many horrors Syrian refugees face day to day, hour to hour. 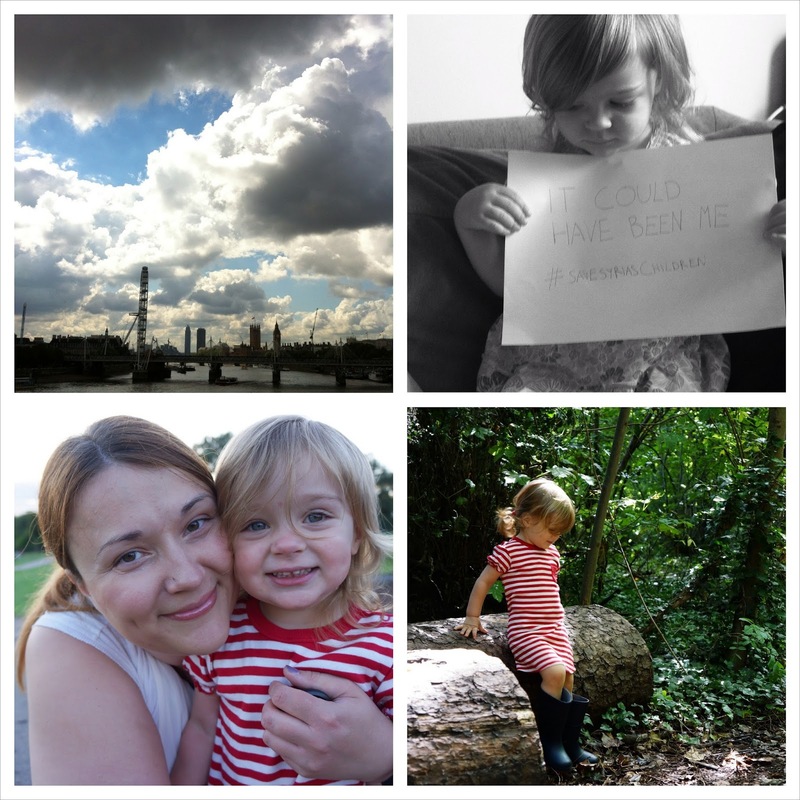 I wrote a post for the blogger campaign "It could have been me" - and I am so humbled how amazingly people have participated in the campaign, raising awareness, donating their time and their money. 3. I don't get too many pictures of me and my little one, so all those are very special. Hubby, take that camera out more often! 4. A little picture from our long forest walk... She looked so content and happy I just had to take a little snap. 5. A little peek-a-boo picture of my little monkey! 6. Another long walk in the evening with my little one, looking for puddless to jump in. I guess she was a bit tired as she had a few moments like these, lying in the long and wet grass! 7. Sometimes I get myself a little Friday treat - Lush is on my way home so often happen to pop in by there... This time it was A French Kiss bath melt, which I planned to use ALL by myself. Bliss. 8. Sometimes it is nice to hear a bit of music during the busy day, and take a moment to listen - as I was walking on Westminster bridge I popped a few coins for the busker and enjoyed the scenery. And like last month I've been sharing videos too - here is one of us puddle jumping! I didn't share all that much on Instagram last month as it was such a crazy one, but if you have an account do come and say hi to me on IG! Do you guys have Instagram accounts? And how was your September? Linky below - if you would like to learn more about the linky idea or get the badge check my page about My Monthly Roundup. What a fun month you guys had, your daughter is very cute! Aww thank you :) It was a nice month, albeit very busy :) Thanks for linking!